JT Graphics offers Alps printed Sci-Fi aftermarket decals. Every JTG product comes with complete instructions and a thorough placement guide. JT Graphics is closed and is no longer producing decals. As our supply of their decals decrease we will try to keep up with the "Out of Stock" notices. Your patience and understanding is appreciated. Optional black stripe decals for your Moebius model kit of the Viper MK II from the new Battlestar Galactica series. Optional orange stripe decals for your Moebius model kit of the Viper MK II from the new Battlestar Galactica series. Optional red stripe decals for your Moebius model kit of the Viper MK II from the new Battlestar Galactica series. Landing bay decals for your Moebius model kit of the Galictica from the new Battlestar Galactica series. Additional name for your Alliance Saratoga conversion kit! You get names, numbers and pendants for the Ranger. This sheet contains optional names and markings for the Alliance Endurance Conversion Kit. The available names are; Melkotia, Oberon, and Vigilant. This sheet contains optional names and markings for the Alliance Belknap Conversion Kit. These names are for the dreadnaught version of the Belknap. The available name is Sussex. This is a sheet of optional names and registries for your Constellation Class model kit by Alliance. Extras include markings for: Constellation, Hathaway, Magellan, Stargazer, Valkyrie,& Victory. Assorted markings and RC thrusters are also provided. Here's a sheet for the Romulan kits by Ravenstar Studios. Now you can identify those Romulan vessels with the appropriate markings! 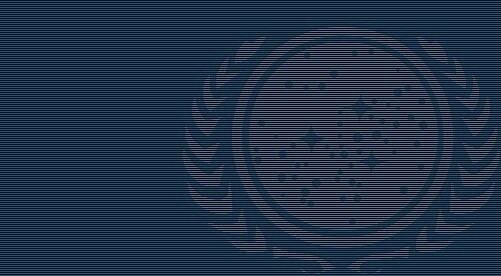 This decal sheet features a variety of sizes and names in a Romulan text style. One sheet can do a few kits. Now you can choose a different color for your bird! Select the color you want, Lt. Blue, Purple, Lt. Green, or Red are available. Give your Bird a little different feel! For Starcrafts’ TOS Romulan BOP kit only. Would you like to name your Starcrafts Jester Class model something other than Asmodeus? Then this decal sheet is what you need. This one sheet can actually be used in conjunction with the kits decals to create all 10 ships in the Jester class. This sheet includes name and numbers for Jester, Cox, Dykstra, Estes, Loveless, Pharis, Rocha, Tinker, Vasques and York. This sheet also features several different pendant styles so you can make your Oberth a Movie, or TNG/ DS9/Voyager era starship. THESE DECALS ARE DESIGNED TO FIT THE AMT/ERTL/ROUND 2 KITS UNLESS OTHERWISE NOTED. This is the decal sheet you need in order to detail your Belknap/Ascension Class kit. Included are sensor bands, B/C deck striping, Impulse engines and navigational Deflector. You also get panel decals for the strongbacks, dorsal and warp conduit panels. Everything you need is here except for the name and pendants. These decals are replacements for the stickers that were included in the kit. Want to have a different name for your "Refit" kit? for the AMT/Ertl/Round 2 USS Reliant & similar. for the SCI-FI Warp Models Oberth Class or similar. - Saucer rim stripes in proper arc! - Impulse engines designed to fit the split impulse deck. - Custom Navigational Deflector decal for the saucer mounted Nav. Def. - Decals for "Top" of the Torpedo pod. This sheet contains decals for your AMT/ERTL 22” Enterprise Cutaway model kit. These sheets cover series production marking only. This sheet contains decals for your AMT/ERTL 18” original Enterprise model kit. Three names are available. These sheets cover series production marking only. Mark your original AMT/Ertl D7 kit into a Romulan ship! This set contains windows in both black and whites as well as Next Gen. Romulan symbols and Romulan text. for the AMT/Ertl/Round 2 USS Enterprise-C & USS Yamaguchi kits or similar. This sheet is for the Dreadnought model by VA Miniatures (or your own kit bash!). This sheet contains 5 names and numbers; Alliance, Confederation, Dominion, Federation and Star Empire. Other features include B/C deck stripes, inboard/outboard nacelle grills, windows and many other details. Additional decals and names available for your VA Miniatures Shanks Class Light Cruiser. This sheet contains windows, sensor bands and other detail. It also includes the names: Shanks, Badlands, Dakota, Fleming, and Reigle. This decal sheet was created for a Constellation class starship model. This sheet features 3 name options (Constellation, Hathaway, & Stargazer) and assorted hull markings.